Summary: Kelly is desperate to earn money to be able to go to the summer camp of her dreams, so she reluctantly agrees to a babysitting job. The parents warn her that Jacob is prone to nightmares and afraid of the dark. Sure enough, when bedtime comes, he’s convinced that monsters are lurking. The only problem is, he’s right. 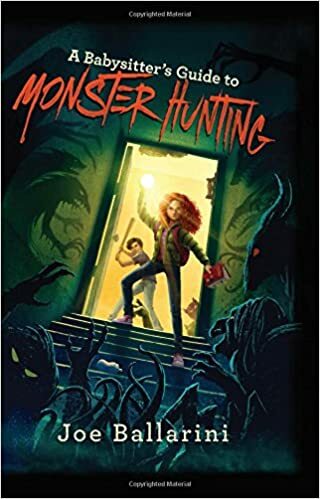 When one of them abducts Jacob, Kelly is introduced to the world of the babysitters, a group of mostly girls trained in the art and science of protecting kids from monsters. As her night goes on, she finds herself in increasingly horrifying situations, but also discovers a strength and power she never suspected she had. Readers brave enough to make it to the last page will be anxiously awaiting the sequel. 352 pages; grades 4-7. Pros: This blend of scariness, humor, and kid (particularly girl) empowerment will be a big draw to fans of Rick Riordan and R. L. Stine. This is sure to be a popular read in the coming school year. Cons: May be too scary for some.